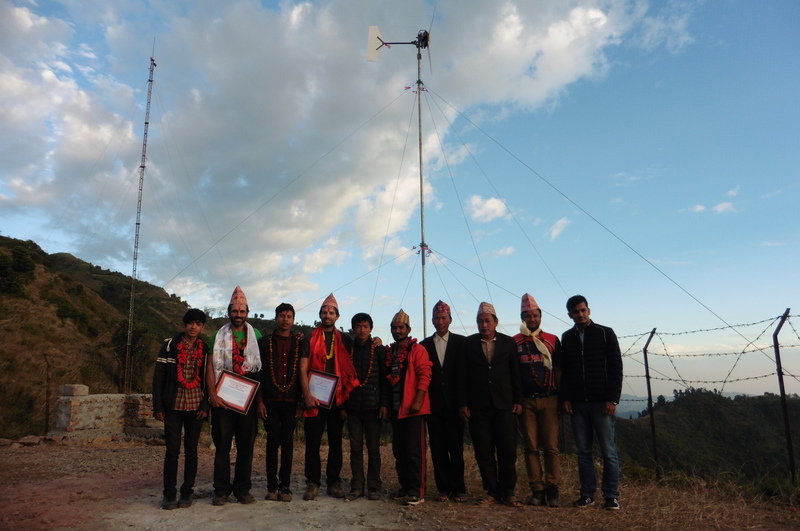 During November 2017, the Rural Electrification Research Group of the NTUA along with the School of the Earth ‘Nea Guinea‘ from Greece, joined the Nepalese organizations Kathmandu Alternative Power and Energy Group (KAPEG) and People, Energy & Environment Development Association (PEEDA) in order to realize a rural electrification project using locally manufactured small wind turbines and solar panels. The electrification project was part of a knowledge exchange activity founded by the Wuppertal Institute for Climate, Environment and Energy (WISIONS) under the title ‘On-line Design Tools Locally Manufactured Small Wind Turbines’. 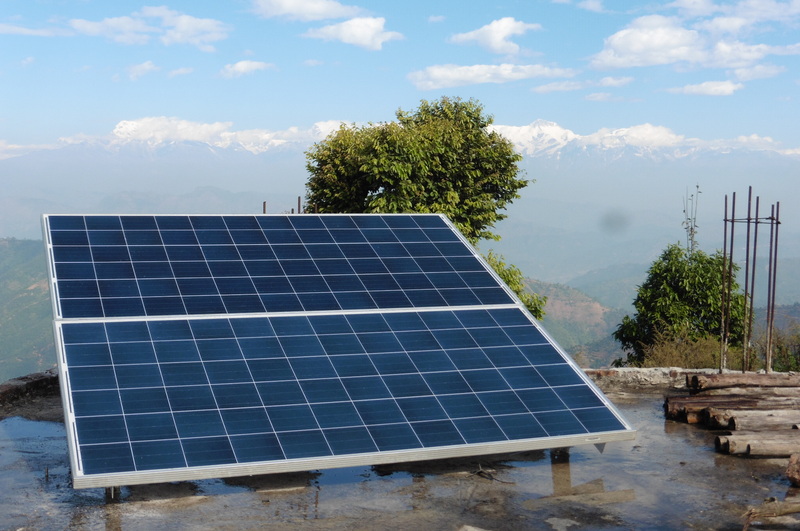 The aim of the project was the use of the open source design tools developed by RurERG in order to strengthen the knowledge base of local practitioners working with PV/Wind hybrid systems in Nepal. 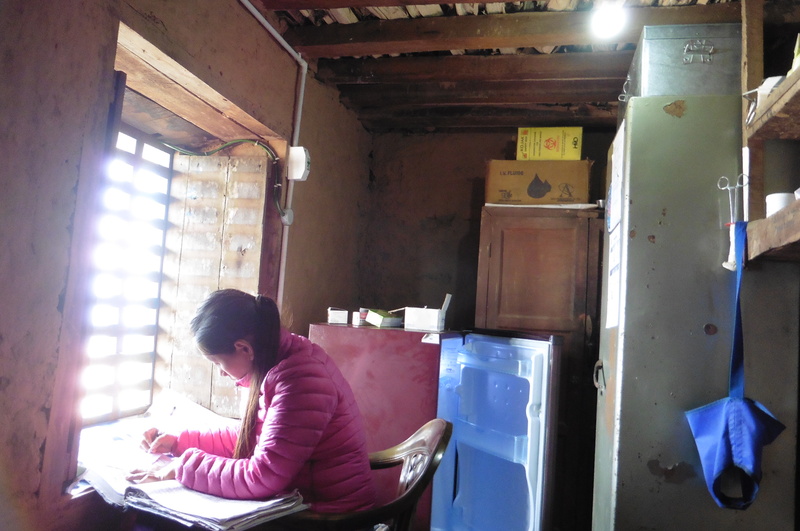 This was achieved with theoretical and practical courses on the subject, along with an electrification project, specifically the electrification of the local health clinic and the offices of the Village Ward in Mityal, a rural community 25km away from the town of Rampur in the Palpa District of Southwest Nepal. 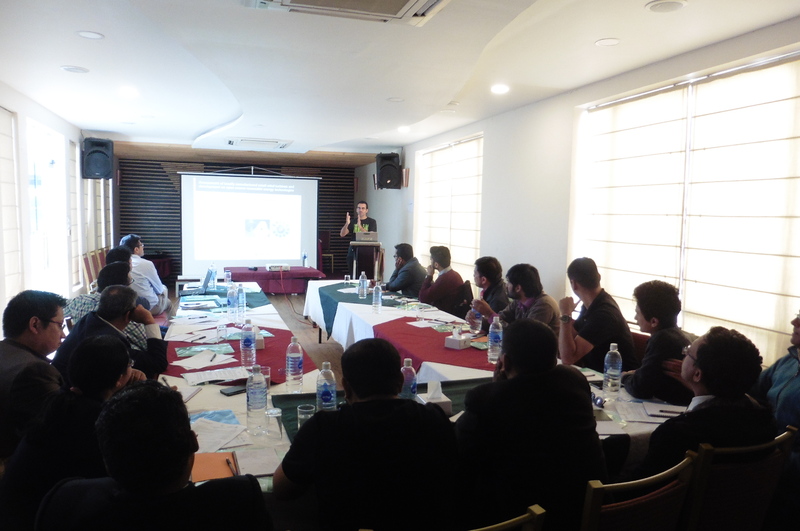 The project started with a two-day course on Hybrid System Design in Kathmandu, during which a small wind turbine was designed using locally available materials, such as Ferrite magnets for the generator, which then lead up to a five-day construction course in cooperation with Kathmandu University, during which the small wind turbine was constructed. A total of 25 people participated in the construction course, including 15 students (graduates and undergraduates) from 3 different educational institutions of the country and 10 participants from different organizations, such as renewable energy companies and NGO’s. 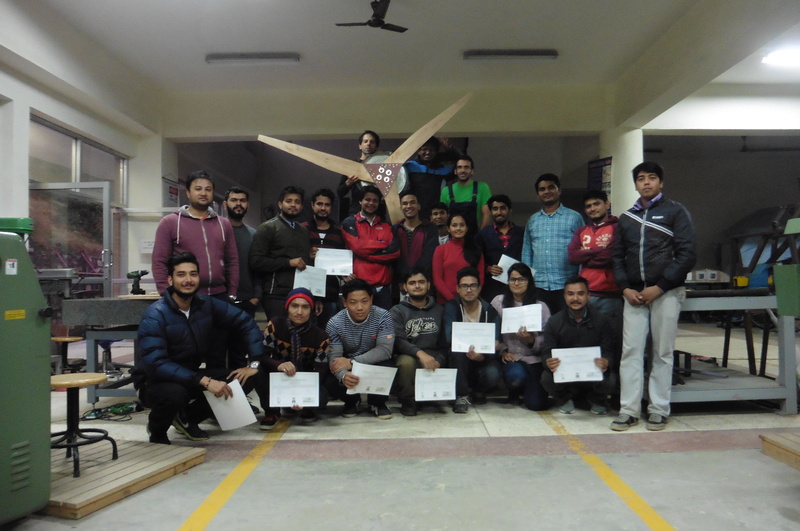 The practical sessions were organized in three working groups, and lead up to the completion of a Ferrite magnet 2.4m rotor diameter wind turbine in five days. The woodworking group carved the three blades of the rotor out of wood, the metalworking group fabricated the steel frame of the generator and the furling tail system, and the generator manufacturing group winded the coils of the stator and fabricated the magnet rotor disks. Photos of the construction process can be seen here. The following week the wind turbine was installed in Mityal on a 12m tower, as part of a hybrid off-grid system along with 600W of solar panels, a 700W inverter, a 24V 200Ah battery bank and a diversion load charge controller. 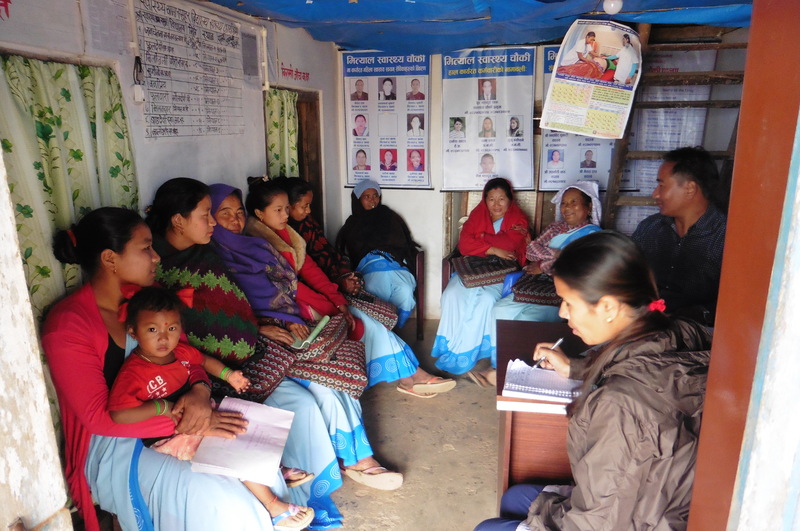 The hybrid system provided electricity for mobile phone charging, lighting and a laptop computer in the Ward offices and refrigeration of vaccines and lighting in the local health post. More photos of the installation can be seen here. 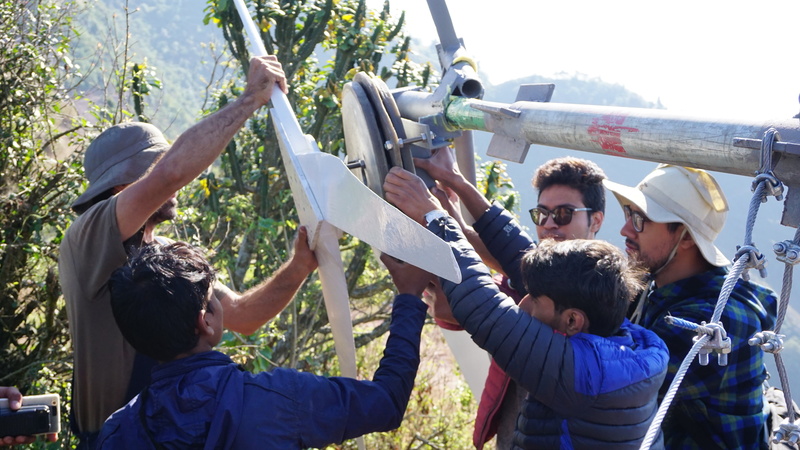 A maintenance workshop was carried out with the participation of local community members and students from the Kathmandu University that visited the site on a field trip to evaluate the performance of the wind turbine. All aspects of preemptive maintenance were explained such as painting of the blades, repair of the leading edge in case of erosion, untwisting of the transmission cables and greasing the yaw hub, tail hinge and bearing hub. The system was handed over to the Ward Office who will be responsible for the system’s maintenance requirements, along with the project partners’ support, and also for its financial sustainability.